GLIDE Emerging Leader Intern Char-Leen Craner shares her experience of meeting with Niels Koch, a University of Copenhagen student. 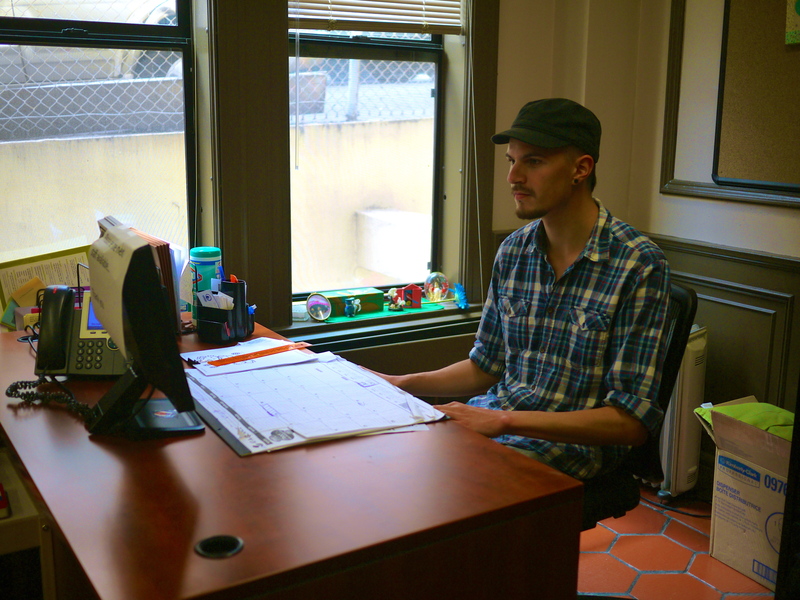 Completing a six month internship at GLIDE, Niels shares his reflections with Char-Leen on working in the Walk-In Center, Men In Progress/ManAlive programs and his overall GLIDE experience. 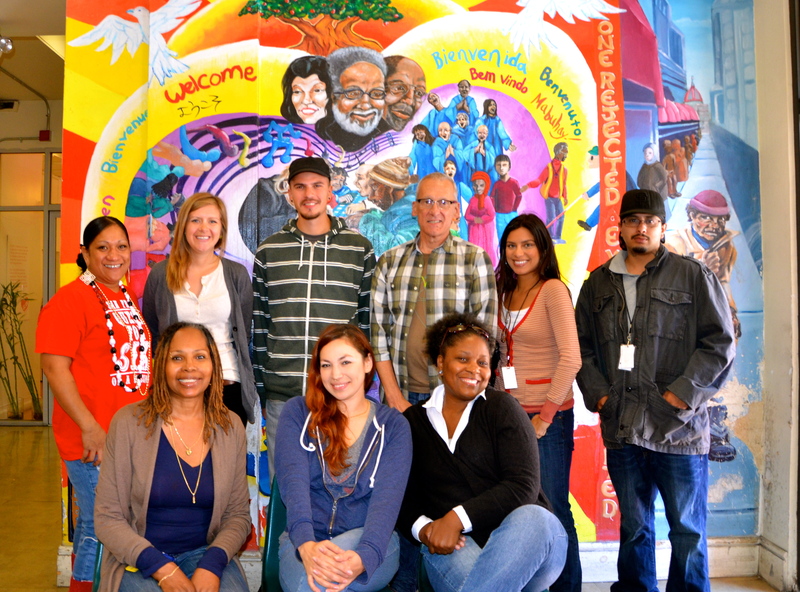 I was surprised to have contact with the international community at Glide during my first week at GLIDE. During Sunday Celebration, Rev. Cecil Williams asked if there were any first-timers and several rows of people stood up. The group was from France and they were not only enthusiastically present but were also actively participating in Celebration. I was immediately impressed that people from outside of the country found GLIDE as important and essential as we did. GLIDE makes a difference everyday in the Tenderloin. This difference is evident in the faces of those that line up for the meals program, those in the Walk-In Center and from those who use the clinic. GLIDE is well known throughout the Bay Area and much of California and is even relevant on a national level. But the fact that GLIDE can make an impact on people internationally continues to amaze me. GLIDE not only welcomes international visitors as guests during Celebration, but they are also welcomed as integral members of the GLIDE Community. Glide’s global impact was made evident to me through a conversation I had with an international student who has spent the past six months interning at GLIDE. Niels Koch, a University of Copenhagen student, shared his experiences working in the Walk-In Center, Men In Progress and ManAlive. Niels sheds light on his thoughts on social philosophy and the cultural differences between his home country of Denmark and the U.S.
During our impromptu interview, Niels was full of energy and easy to talk to. As a Social Education major, he has an interest in social issues, especially in regard to his previous experience in schizophrenia and drug abuse. “And that’s when I found out GLIDE was something for me.” He finds the work that GLIDE does important and essential for the well-being of the community. 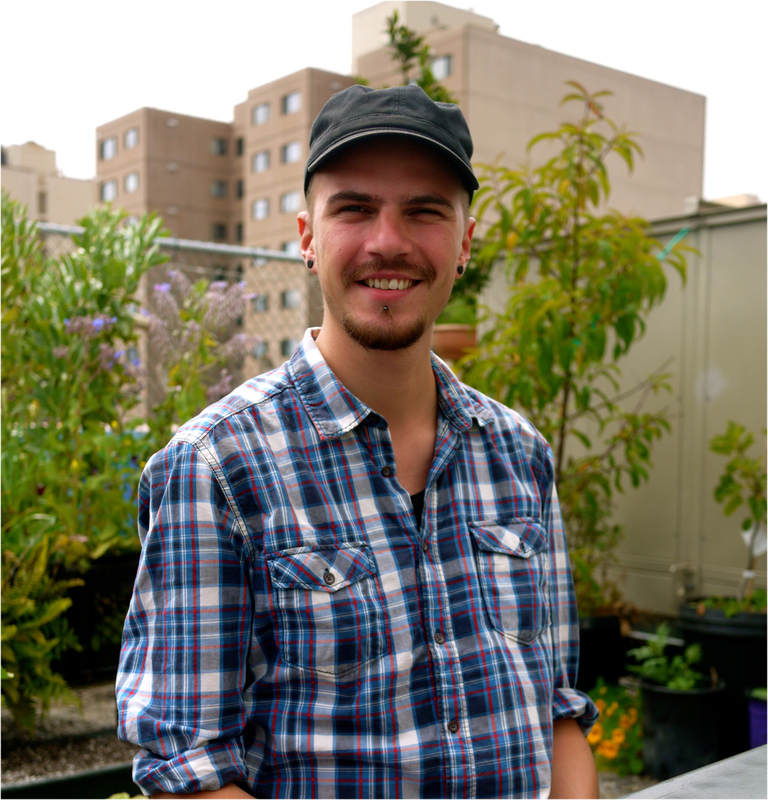 Niels started by working in the Walk-In Center, seeing clients and providing immediate need services for them, while simultaneously building meaningful relationships with the people he worked with and adjusting to living in a new country. It wasn’t until his supervisor suggested he attend a Men In Progress meeting did he find his main focus of his internship. Niels relates his experience with Men In Progress and ManAlive to his own country. The social and emotional differences between Danish and American society may prove to be too disparate to implement the same programs. “I think it [the curriculum] fits more into American society.” He asserts, explaining that there is a greater belief in male superiority here than in his country. “They [Denmark] are more on an individual level, where men go and talk to a counselor who most commonly has a degree in psychology…generally it’s more one-on-one.” Niels address his concern that a similar focus on individuality in the U.S. could make men feel inferior and thus prove counter-productive to Men In Progress and ManAlive’s values. Niels also brings up some of his biggest takeaways. He is deeply grateful, for his team at GLIDE, for the Tenderloin community and for the powerful experience of living in the ‘city by the bay’. It is simple, the reminder Niels presence at GLIDE instills in me: that GLIDE makes an impact on everyone who comes through the front doors, regardless of race, religion, gender, sexual orientation, or, in this case, nationality. GLIDE meets people where they are, unconditionally accepting people as they come and radically welcoming everyone into the GLIDE family. The impact GLIDE leaves is not just monumental for San Francisco or other social services programs; its message ripples out into the world, allowing the international community to experience the radical inclusiveness that is GLIDE. Because of Niels’ internship, GLIDE has a new partnership with the University of Copenhagen that will allow even more international students to experience GLIDE. While Niels’ story shows how someone from a different country can be impacted by GLIDE’s unconditional love, it also provides us with a look towards GLIDE’s social innovation in the global beloved community. GLIDE gives a shout out to the work Niels has done for us! We hope to be blessed with your presence again one day.